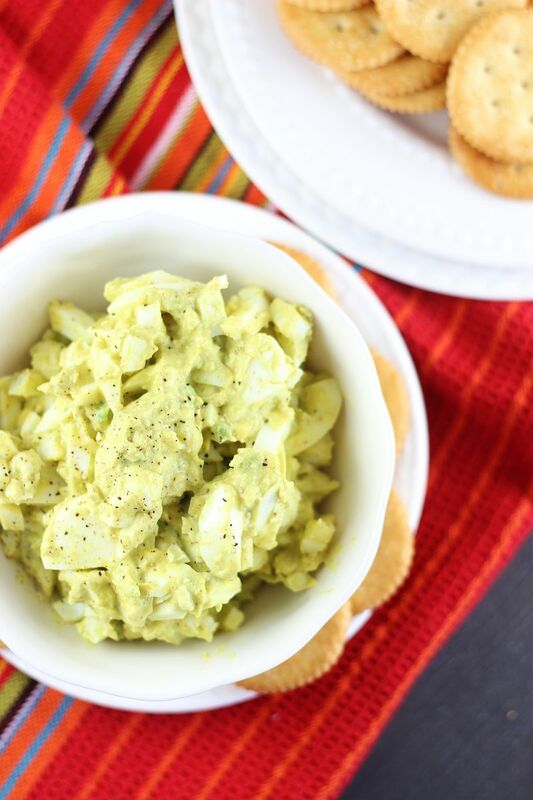 This Avocado Egg Salad is a healthier version of egg salad made from primarily egg whites, with mashed avocado, Greek yogurt, and lots of mustard, horseradish, and spices! Soon you will probably have a giant excess of hard-boiled eggs that you won’t know what to do with. For us, this is ALL THE TIME. Not just around Easter. We eat a ton of eggs in general, and typically have plenty of hard-boiled ones on hand. They’re an excellent portable protein source! When friends are over and happen to look in our fridge, they are astonished at the cartons of eggs we stockpile! I usually eat hard-boiled eggs in one of three ways: with nothing but a sprinkling of salt, as deviled eggs, or as egg salad. Now that I think about it, are there other options beyond those three?? Most of the time, I prefer the third option! I love egg salad, and I prepare it in a way that’s a little healthier than traditional egg salad. If you already have hard-boiled eggs on hand, it’s so easy and quick to mix up a fresh batch. My favorite way to prepare it is with mashed avocado instead of mayo. Who invented Avocado Egg Salad? That person deserves a medal. It’s a brilliant idea. Avocado is so creamy and buttery, and fortunately, it’s full of healthy fats too. 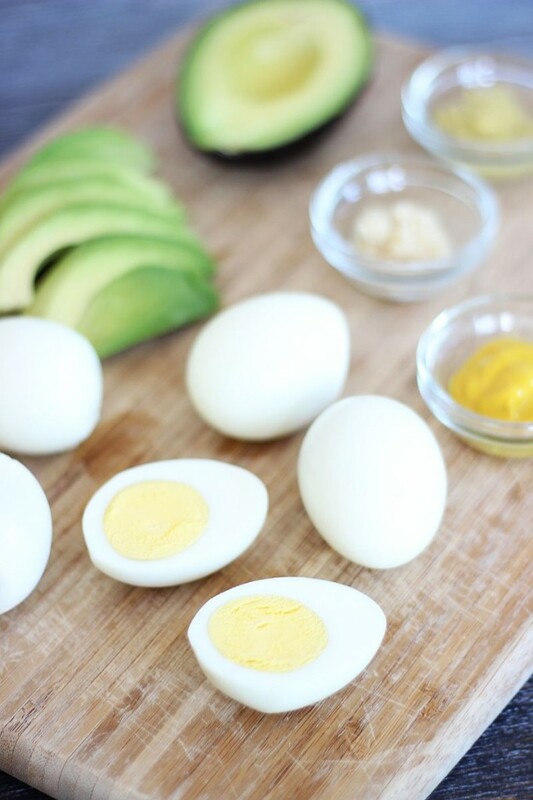 Pairing the beautiful avocado flavor with lots of spicy mustard, yellow mustard, and horseradish, this is anything but an ordinary egg salad. Throw in a little Greek yogurt for extra creaminess (plus a boost of protein! ), and you will never go back to traditional egg salad. You can feel better about eating it too since we swapped out the mayo for avocado and yogurt! I never eat egg salad on bread. Maybe not never, but very rarely. Okay, basically never. I spread it on crackers. I love egg salad on crackers. Talk about a quick and convenient snack. Growing up, we were never without Ritz in the house. Now as an adult, Ritz are still a staple for me. As a kid, I only remember original Ritz crackers. Now, there’s a bunch of other flavor options. I seriously couldn’t decide which kinds I wanted to get. I wanted one of everything, but my favorite flavors for topping with egg salad are Bacon (obvi) and Garlic Butter (to-die-for). 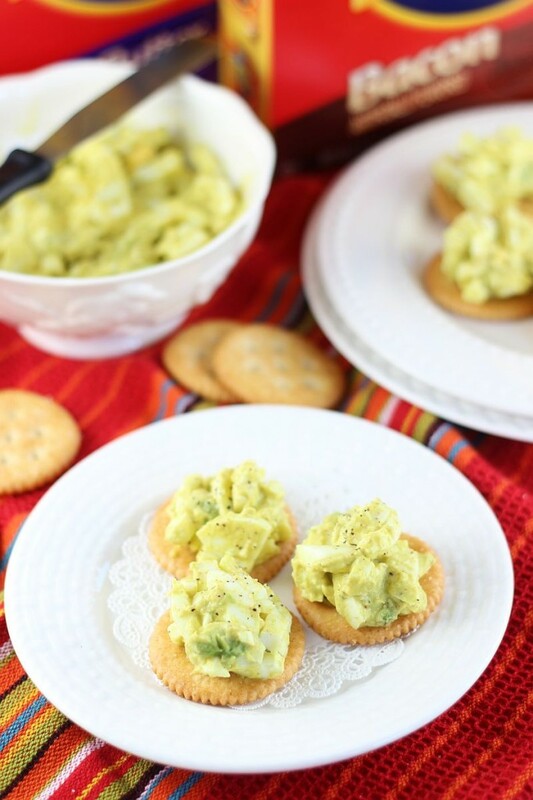 If you haven’t tried Avocado Egg Salad yet, you must! A healthier egg salad made from primarily egg whites, with mashed avocado, Greek yogurt, and lots of mustard and spices! Discard (or repurpose) 4 of the egg yolks. This recipe only uses 2. Dice the 2 yolks, and all of the egg whites. In a medium-sized bowl, combine all ingredients and mix until well-blended. Dollop onto crackers, and enjoy! Ok, that right there is the BOMB – I love egg salad AND Ritz crackers. YUM. 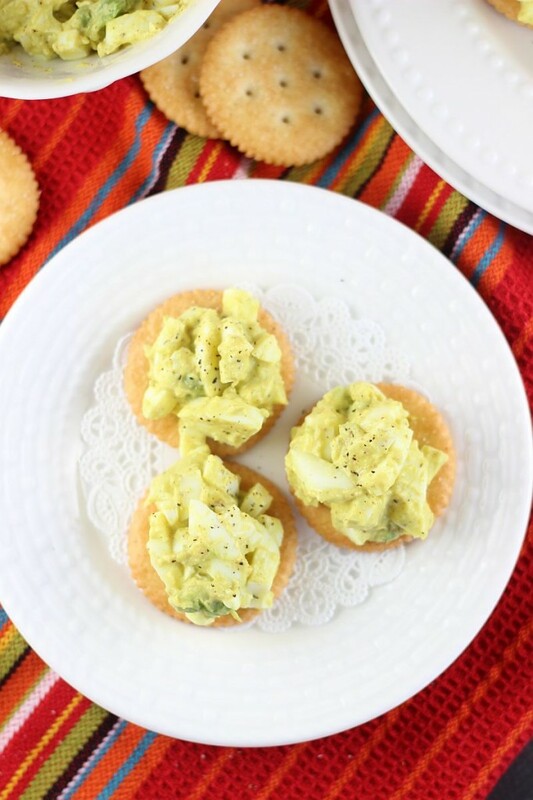 I’m really picky about egg salad and I love this version. The avocado is the perfect addition! 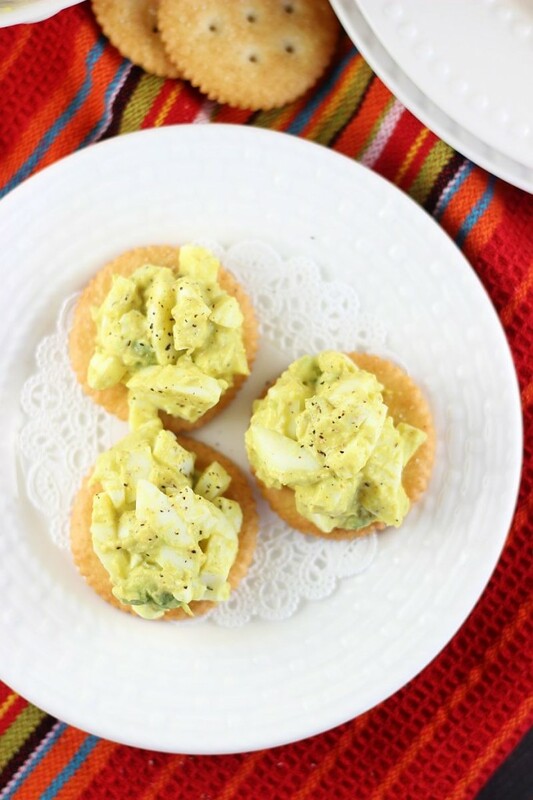 Love this avocado egg salad Sarah! Looks like the perfect topping to Ritz crackers! It’s soooo good with the crackers because they’re so buttery and salty! Thank you, Mira!! Looks good to me, Sarah! Now that spring has arrived, I am definitely in the mood for egg salad. I’ve never tried it with avocado…or on Ritz crackers. Adding this to my list of must-have-lunches in the coming week. I certainly have enough hard boiled eggs in my refrigerator right now! 🙂 Have a great Easter! Yes, definitely try it! You seem to like healthier options too, and I think you’d love the avocado instead of mayo! It’s so great on a salty cracker! 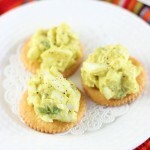 I haven’t tried avocado egg salad yet, but it’s been on my list for ages! Definitely need to try it soon! This looks fantastic Sarah! 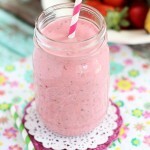 You like to have healthier foods, so I think you’d really love this! Give it a try! I usually just eat hard boiled eggs with salt because an egg salad seems like a lot of effort. I love how quick and easy your version is and how you made it healthy by using just the whites and using avocado! Genius! And putting it on a ritz cracker is the obviously choice to round out your snack. Oh man, I really want to make this asap! Yum. 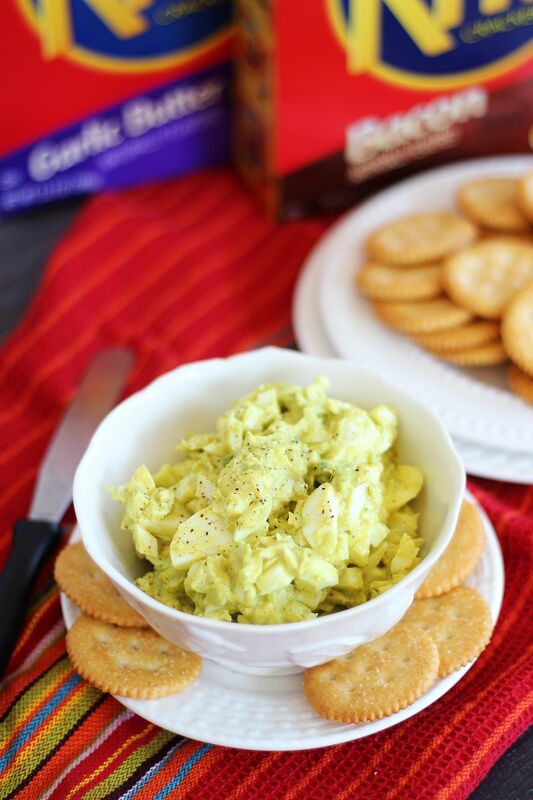 I love the addition of avocado to this egg salad! looks amazing! 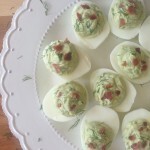 I love that you used avocado instead of mayo in the egg salad! Such a great idea and it looks fantastic! Yum! Egg salad with a twist. Love it! It looks scrumptious! Pinning! Oh, a healthier version of my favorite salad! Saving this recipe! Thank you for linking up with Thursday Favorite Things! 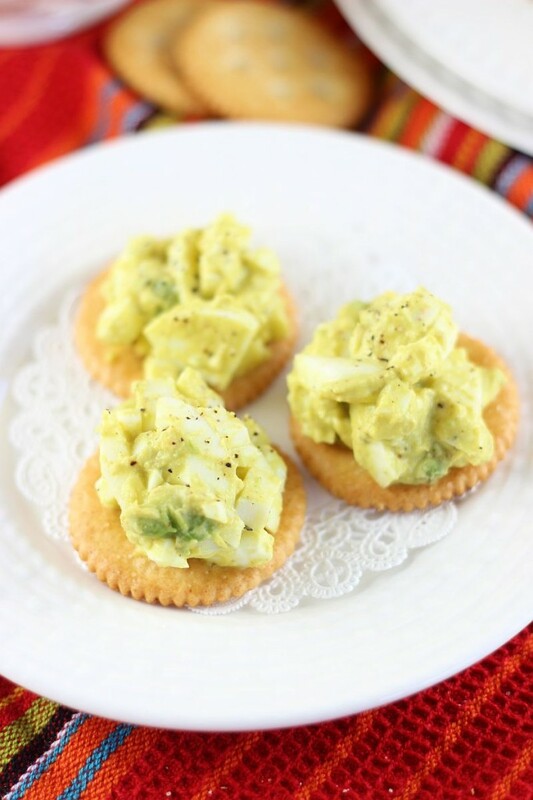 OK…so I LOVE cracker, eggs and avocados…..how can you go wrong with this!! This is a great appetizer, lunch, snack…..or breakfast. I will put this in my “must try” list. Thanks!! It’s a regular favorite snack of ours! I just made it again yesterday. We LOVE this! 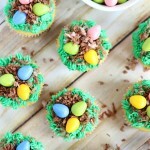 eggs are a huge staple at our house too! 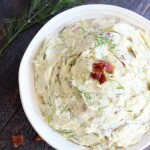 i love the horseradish and greek yogurt along with the avocado in the egg salad recipe. Great idea! Thanks so much for sharing this post with us at #PureBlogLove link Party! the party starts every Thursday Evening at 8 p.m. EST. 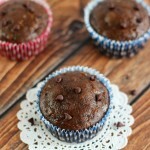 I’m hosting over at http://www.homemadefoodjunkie.com. Can’t wait to see what you bring next week!